This man had a PTO (Power Take-Off) on his bicycle to convert pedal power to a grindstone. He sold and sharpened knives, scissors, and assorted cutting instruments. 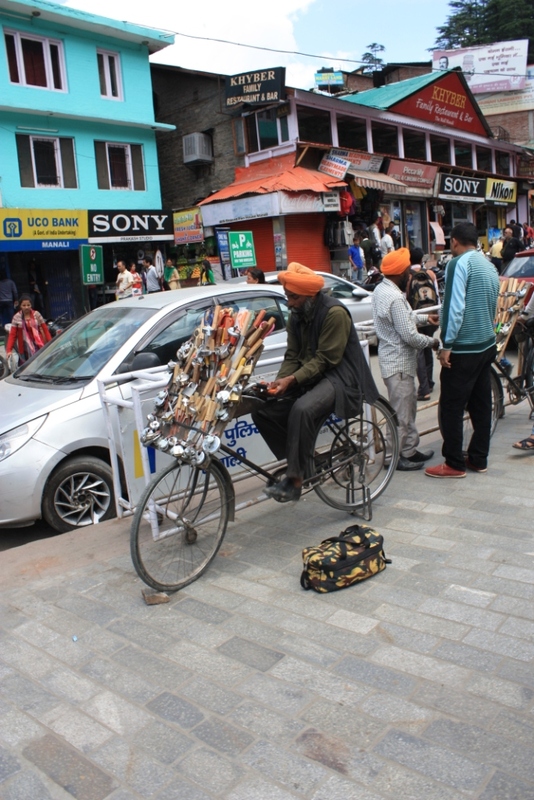 This entry was posted in India, photographs, Photos, pictures, Tourism, travel and tagged Himachal Pradesh, India, Knife Sharpening, Knives, Manali, photographs, photos, pictures, The Mall, tourism, travel by B Gourley. Bookmark the permalink.